This video is one of the most significant if not the most significant on the murder of The prophet Bob Marley-we feel that in this one we put the subject to rest. Published to coincide with his 36th memorial year since he was murdered at age 36. Ital Iman brings an insight to the table like a strong wind at the picnic table of opinions casting all others in better light. You decide? 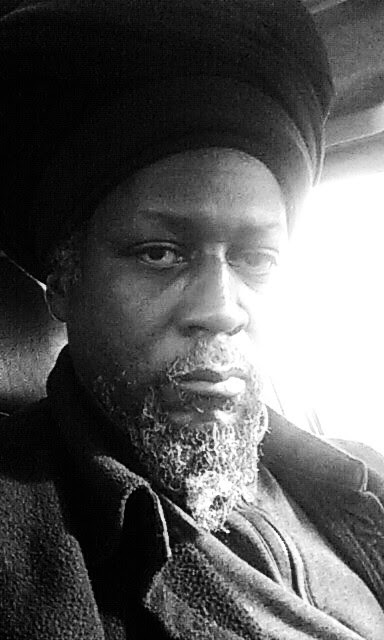 Ital Iman is the Author of: Word is bond: the trial of John Allen Muhammad, the beltway sniper. He was the only independent media source to cover the trial, also only Black news source. 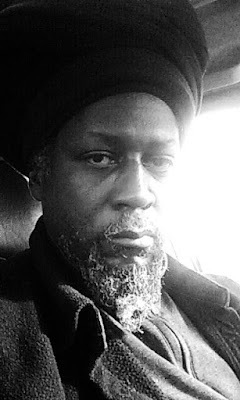 He is also author of the Holy Book Of wonder and around 10 other independently published books... this information was first published in the 2002 pamphlet titled Word is Bond a manifesto in spiritual support of John Allen Muhammad to stop the death penalty in the beltway sniper trial. Basically the pamphlet was a numerology students treasure. This work on the Bob Marley case just happen to fit like a hand in a glove, the trial was dubbed the trial of the century by mainstream media, at this point Ital Iman Became a credible news source ranking with the top journalist in the country. The effort of him covering the trial etc. was picked up by The Washington post. and news sources from around the world carried the story of The Rastafari Ital Iman I. Thank you! Well done. Esther Anderson also mentioned that Bob told her that the people he would be working with will pull him into a bottomless pit[he has a vision when he slept and told her this]. Also his last serious girlfriend was a Princess from Gabon- Pascaline Bongo [Bob the Reggae "King" finds his African Princess]. She introduced Bob to Africa and he had his real first concert in Gabon. Esther Anderson mentioned that a Princess in Africa has bought the publishing rights to Bob Marley. Princess Pascaline went to visit Bob in Germany when he was dying....could it be that he asked her to buy up his publishing rights KNOWING that he could not trust those that were around [Judas betrayers]? Please also look at this video of Bunny Wailer here...fast forward to about 57 minutes when he talks about his half brother Bob Marley for about 10 minutes [if you can overstand the heavy patois accent]. You are welcome! As Bob said there are "So much things to say"...There are so much info that "the other half has never been told". The ENTIRE TRUTH of his real life and death [not the Chris Blackwell controlled story told over and over again] must be exposed. I did not even know about Princess Pascaline and that his relationship with Cindy Breakespeare officially ended when he met the Princess. Esther Anderson was the co-founder of Island Records with Chris Blackwell...she introduced the rest of the world to Musician Joe Higgs who TAUGHT THE WAILERS HOW TO HARMONIZE and play their instruments more professionally. She also helped Bob and the original Wailers initially by launching their career in 1973 with the Island Record deal.Esther took the pics for the 1973 Catch a Fire album with Bob and The spliff and the back cover with the Wailers in front of her London flat..So much more to be exposed and told.Peace and Blessings. Yessir! Your writings confirmed what Bunny Wailer said about Bob so you are on time!! yes it is a epic saga for sure.but a divine one.many will not agree; but who feels it knows it.yes familyman is a nice man. I met him once in the late 80's he signed a copy of the Bob Marley commemorative issue of reggae and African beat magazine.I had bought a full page advertisement concerning my effort to promote the "Master Blaster Jamming"
Unbelievable!! ....That the "friends" who saw Bob being tortured by Dr.Josef Issels just let him continue to linger there. If they really cared about him they would've discharged Bob IMMEDIATELY when they saw this occurring. I read somewhere that Bob was being treated before in Mexico for cancer [same spot where the late actor Steve MacQueen went to be treated]and he preferred to stay there. At least let the man die with some sort of dignity. Gees- you wonder if these "friends" were paid off to let him suffer at the hands of Dr. Issels [smgdh]!! so true.Judas.they allowed him to die.the story of judgement has been written,I have faith that all will go and turn out for the Good,been a long time but now it's time to know truth. Amen! Thank you for all the info. Hey, Thanks for sharing! we offer wholesale bob marley shirts if you want. Just visit this site SevenWholesale.